BAIT CEO Eric Cheng recently sat down with Complex for an interview, where he dropped some exclusive info about our upcoming collaboration with Reebok Classics. 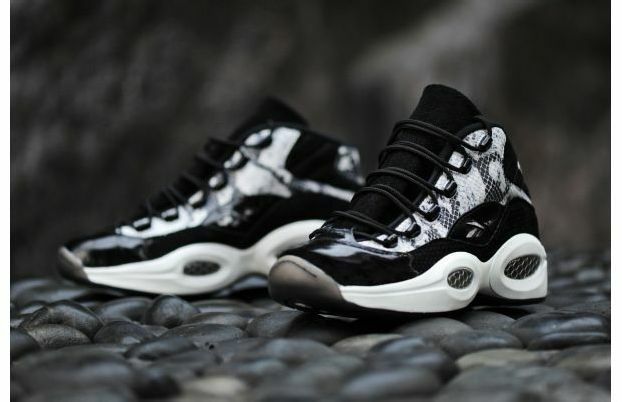 Click over to Complex to read about the exciting BAIT x Reebok Classics Question Mid “Snake,” including insight on the design process, inspiration, and – most importantly – where and how they’ll be released on August 10. Eric also provides some details on our exclusive Iverson collectible with Coolrain, which is dropping alongside the shoe. Hit the interview, check out the gallery of shots, and stay tuned for more information about the project as release date nears!